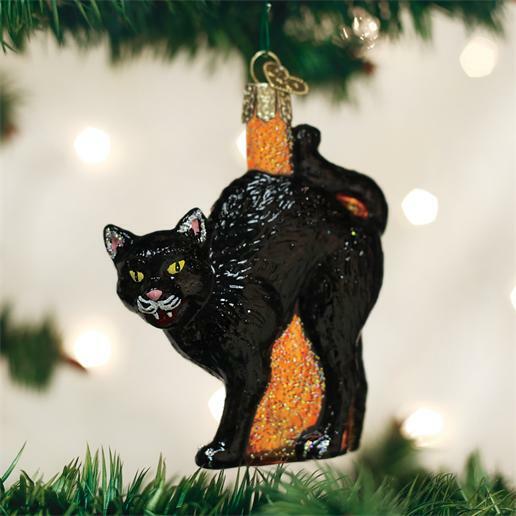 Home > Old World Christmas - Traditional Glass Christmas Ornaments > Old World Christmas Glass Ornament - "Scaredy Cat"
According to legend, black cats have the gift of foretelling the future and seeing spirits. If a black cat crosses your path, it means bad luck. If it walks toward you, it means good luck. Thus, black cats enjoy a close association with spookiness and Halloween.